From small volume hand-built components to mass produced automotive parts, we have the capabilities to support your company. 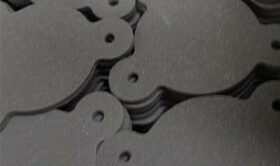 We have a huge range of materials on offer from Neoprene Foam to Solid Rubber. 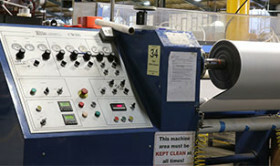 We offer a wide range of conversion processes providing a cost effective manufacturing solution. L.J.A. Miers are specialists in the conversion and lamination of rubber, foam, plastic and fabrics. We work in all areas of manufacturing and our products are used throughout a diverse range of industries, including Automotive, Manufacturing, Glazing, Packaging, Construction and Rail. 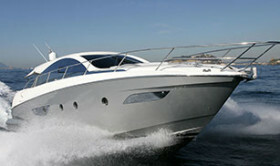 We offer a fast, efficient service offering quality and value. Our team is capable of offering creative solutions for all forms of production in the manufacturing industry. Our bespoke production ensures that we are able to offer tailored solutions to all our customers requirements. We can supply quick turnaround sample requests and bespoke prototypes. Established in 1954, L.J.A. Miers & Co. Ltd is one of the longest running rubber, foam and plastics converters in the United Kingdom today. We manufacture a wide range of high quality products to cater for all our customers’ requirements. Our centrally located warehouse and production facilities mean we are able to cope with the “just-in-time” requirements of the modern manufacturing industry.